The original low-cost Porsche was released in 1969 with a simple flat-4 engine mounted in the middle and styling that was radical, angular, and futuristic compared to the rolly-polly 911. For various reasons the prices of 914s aren't in ridiculous la-la land, and you can get a nice one for not too much cash. 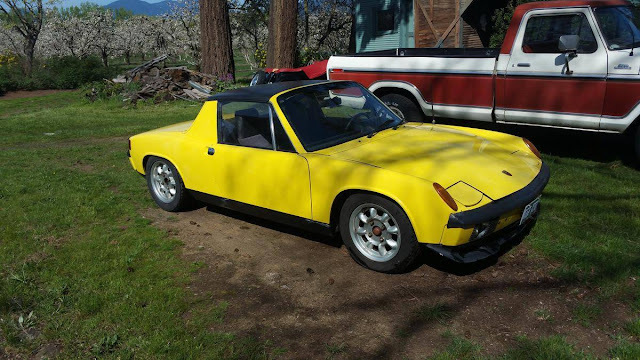 Find this 1974 Porsche 914 offered for $7,500 via hemmings. Tip from BarbPaddles. I want the truck behind it. One photo? Really?!? Of course "low rust" may mean that all the rust is in the low parts of the car.